It is often said a house is built by many hands, but a home is built by many hearts. Even before we break ground, it is clear that JoeAnna’s House is only becoming a reality because of years of commitment and many, many generous hearts. The story begins and will ultimately end with family, and with people taking care of one another when the chips are down. 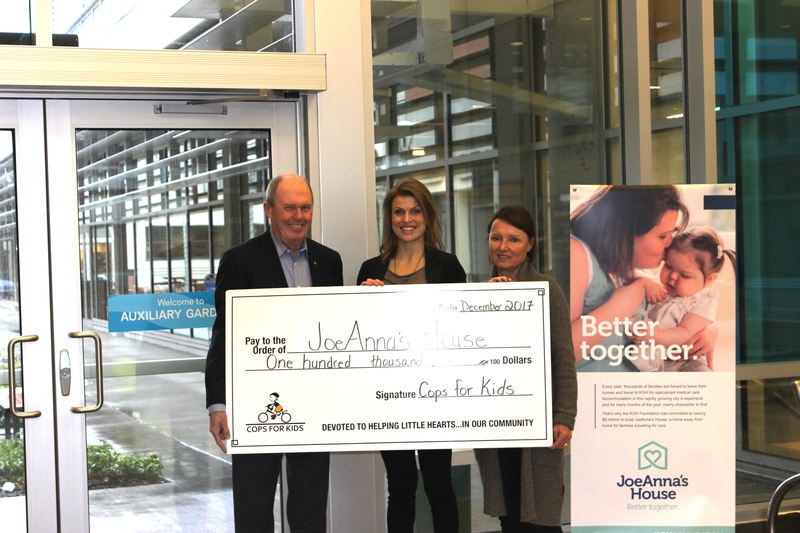 In the fall of 201 7, the KGH Foundation announced our ambitious campaign to raise $8 million to build JoeAnna’s House, a home away from home for families travelling to Kelowna General Hospital for advanced medical care. The campaign, aptly named Better Together, will rally communities across the southern interior to come together to provide a place of solace for regional families when they need it the most. How the project came to be is perhaps just as heartwarming as the anticipated outcome. 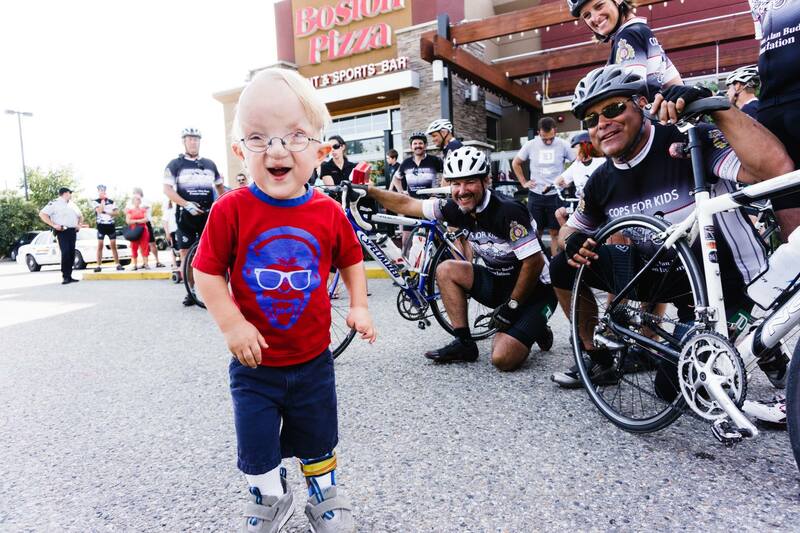 For the past ten years, the Cops for Kids Charitable Foundation has worked with local social workers to provide assistance to out of town families whose loved ones were staying at Kelowna General for medical care, providing everything from accommodations and groceries, to parking and other needs. With the growth in the region and added medical specialties now available at KGH, the organization has seen an increased need for their services. “At first, we were working directly with children at BC Children’s Hospital but it became evident that children were coming to Kelowna as well for medical attention, high risk pregnancies and trauma,” says Gail Harrison, who served as President for Cops for Kids from 2009 until this year. Indeed, it is no longer the case that patients and children requiring specialized medical care are travelling to Vancouver, Calgary or Victoria. As the leading referral hospital for over 750,000 residents in the southern interior, at any given time, one in four beds at KGH is occupied by a patient from outside the Central Okanagan. 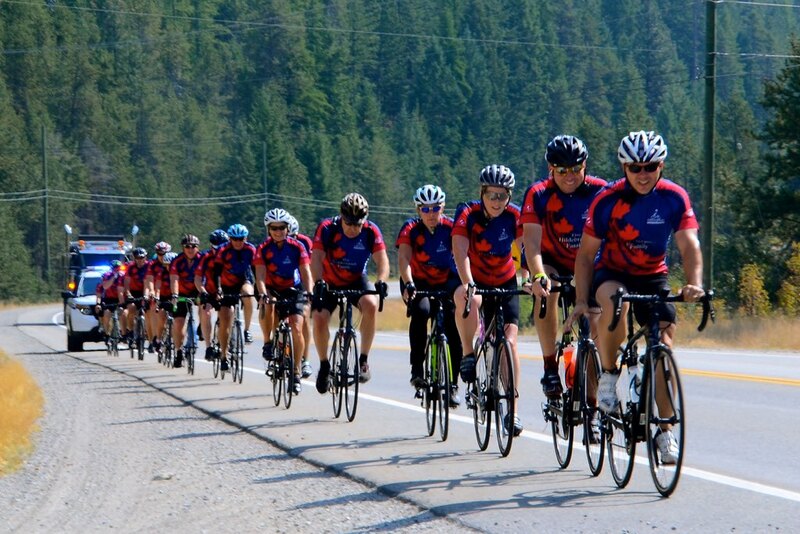 Founded in 2001, Cops for Kids is an organization comprised of RCMP members and friends from the South East District. 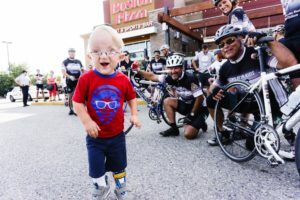 Their goal is to raise funds to support the medical needs of children through a variety of events, most notably through their annual Cops for Kids Ride. 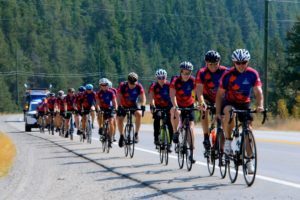 The ride, a ten day, 1000 km tour of British Columbia’s breathtaking (and challenging) Okanagan and Kootenay regions, celebrates the contributions of the RCMP while at the same time, allows members to give back to the communities they live in. Cops for Kids President, Grant Fletcher (left) and Past-President Gail Harrison (right), present KGH Foundation Senior Development Officer, Allison Ramchuk (centre), with a gift of $100,000 for JoeAnna’s House. In 2014, the possibility of opening a dedicated house onsite at KGH to serve the needs of patient families was explored, but the scope of the project exceeded the capacity of the volunteer run organization. Then, in 2017, the Huber family of Kelowna, founders of Prestige Hotels & Resorts, stepped forward with a $1 million commitment to initiate the project. To all of the Cops for Kids members who literally pedaled their tails off to make this extraordinary gift possible, we can’t thank you enough. 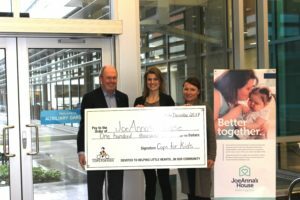 LEARN MORE about the Better Together campaign to build JoeAnna’s House. A Gift of Gratitude Don and Dorothy will be FOREVER Grateful.